If you’ve got questions or are confused about the many options and jargon involved with domain names then you’re in the right place. This will be a short and sweet guide for beginners to catch up on what is one of the most important choices you will make when setting up a new website. As the name suggests, a domain registrar is a company which allows you to register a domain name. 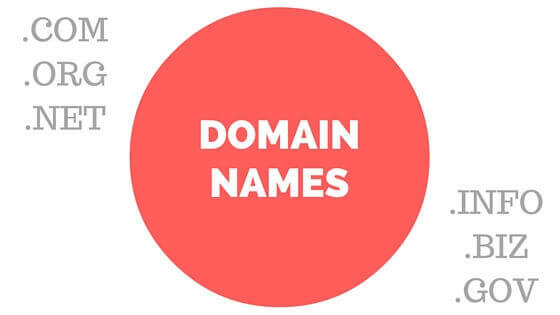 GoDaddy is one of the most well known domain registrars, but just like GoDaddy domains there are hundreds more – just Google “domain name registration” and you’ll find a plethora of websites offering you domain names. They each offer slightly different options, and some offer more choices of extension than others (.com .net .co.uk and so on). Most domain registrars have fairly similar pricing, but of course you can shop around and save a few dollars here and there if you wish. In any case, you should not be paying more than USD $15 per year to register a .com .net or .org domain name. Some of the newer extensions can cost far more than that, which will be covered below. A top-level domain (TLD), sometimes referred to simply as a domain extension, is the part that comes after the actual name. Take the case of Google.com for example: .com is the TLD, or extension. Initially there weren’t many domain extensions to choose from, but in recent years the list has grown to hundreds. Some of the newer extensions are cheaper than a .com and some cost far more. Some of these domain extensions are only available to residents of a particular country or region, such as .eu for the European Union. Registrants must be located within the European Economic Area to be eligible to purchase a domain name with this extension. Other exclusively reserved extensions include .inc which will only be available to registered corporations, and is currently in the pre-order stage at the time of writing this guide. The most valuable, and most prestigious, domain names are still .com extensions. Generally, the shorter the domain name is – the more it will be worth. All of the best .com names were registered long ago, so you will have a very hard time finding your perfect domain name right now. This is what makes the newer extensions so tempting to many people. It is easier to find a shorter, better sounding name when choosing a newer domain extension. These non-.com names generally have little resale value however, unless it’s something really special. However, this may change in the future as it becomes more normal to have different extensions. The term ‘whois’ refers to looking up who owns a domain name that has already been registered. You can do this for free on many websites such as Whois.com to find out the details of the owner. This is seen as less than desirable by many website owners who are concerned about privacy and simply do not want their home address, phone number, and real name floating around the internet. That’s where domain privacy protection comes in to play. Your domain registrar will give you an option to hide all of your contact details from prying eyes, and it usually only costs a few dollars per year. Some domain name extensions do not allow privacy protection, and some extensions provide privacy protection by default. For example: .ca domains (Canada) do not post details of the registrant, while .de domains (Germany) make it mandatory to show the registrant’s name and address. It’s going to be tough to find a great domain name these days, even for experts, but you just need to persevere and take what you can get. The following list should help guide you in the right direction. Don’t use trademarked names – avoid copyright issues. If you register something like DisneyXYZ.com you can expect to receive a letter from Disney’s legal department fairly quickly. Even if your website is friendly to their brand, such as a fan page, they won’t make exceptions. Don’t register misspellings of trademarked names – consider registering misspellings of your own name though. For example, Google owns just about every misspelling of it’s name that you can imagine, just in case you type it in wrong. Avoid long domain names shorter is better. Try to find an available domain name with the least amount of characters as possible. If your personal or business name is long, consider abbreviations wherever you can. Finally, don’t forget that your domain name will eventually expire if you do not pay your renewals. This is usually done in one year terms, although you can pay in advance for a much longer period of time if you wish. Make sure the email address you use at your domain registrar is always up to date and that you check it often for notices of renewal. If you fail to renew it in time, it will eventually be sent back in to the wild for others to take.